Look familiar? They definitely didn't come with the outer spindle bushings(90381-30003) when I bought them though. EDIT: Make that 3 sites. And this one is all the confirmation you should ever need(OEM packaging ). Last edited by MudHippy; 01-28-2012 at 07:00 PM. Yup. Pretty much confirms it. I tried to get the actual links your referring to via the photos, but it's in Japanese language? 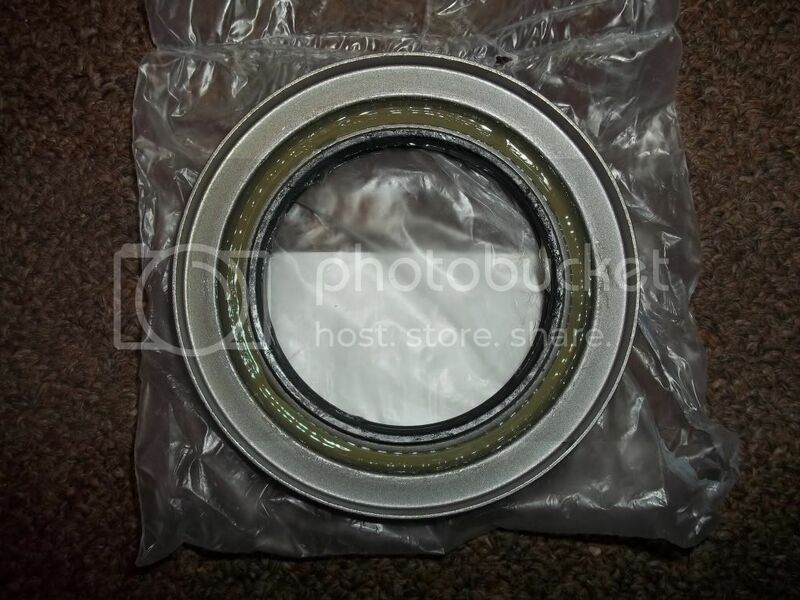 confirmed, 90316-60004 IS the correct part number for that knuckle seal for the CV. Came to $67.69 for the set including my 10% off coupon and 6% sales tax at a local dealership which had it for me the next day after ordering. I was planning on hitting the seals with some grease upon install, but they are already coated from the factory. Last edited by rworegon; 01-20-2015 at 05:30 PM. Reason: Added 0 to part number. 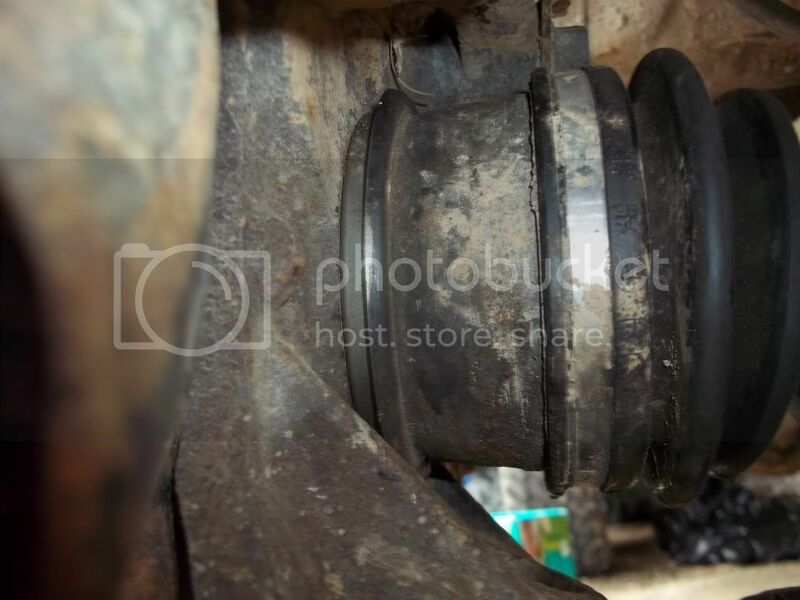 I am in need of the dust lip seal that press onto the CV joint, though I see you are not. Do you have a best-guess as to what that part number is knowing what you know now? I think I know the number, but I want to see if what you say matches with what I think. Last edited by jimmyhoffa; 02-06-2012 at 12:57 PM. Posted a few posts above. 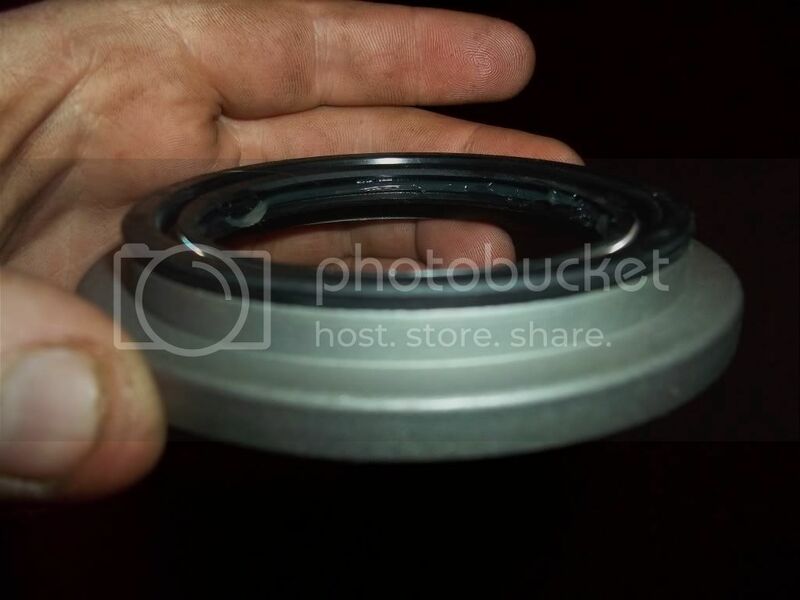 I did replace mine, out of necessity(the old style cv seal, 90316-76002, isn't compatible with 90316-60004). 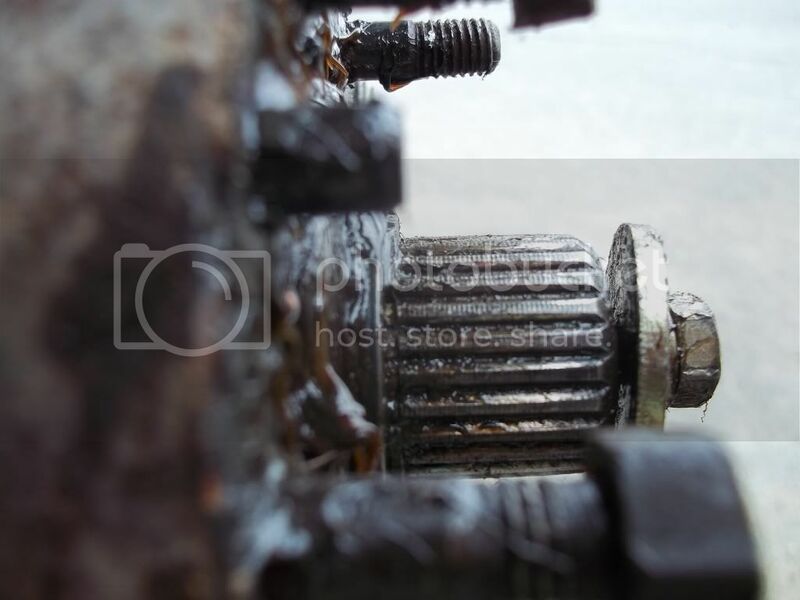 And since I've been correct with all my part # quotes in this thread(and all others), you have a very high probability of ending up with the correct part if you order that particular part number. I'd say atleast 99.9999% certainty. ah yeah thanks for the quick save! I didn't realize they weren't compatible. 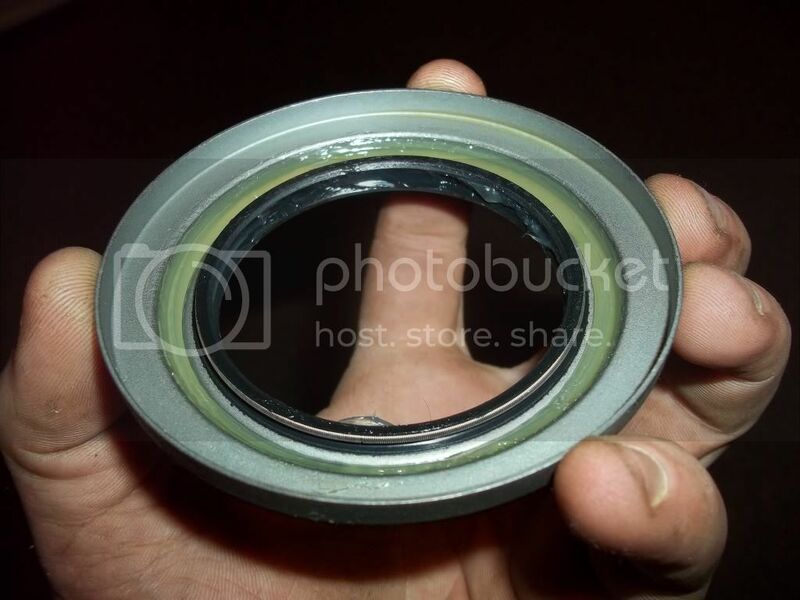 I definitely have the old style CV-side seal, and will of course not be compatible with the knuckle seals I'll buy. Update time! I just checked in for clarification because there were several question marks after that part number several posts above, and that made me want a double check before I pushed the big red "buy" button anywhere. I knew instead of getting both knuckle seals, I should have gotten matching seals to eliminate the possibility of having incompatible ones. I just don't know if this is right or not. As you can see how darn close I am to getting that C-clip in. HOLY COW! you east coast guys trucks just take a beating from all that salt! I've never seen rust like that around here unless it was pulled from the depths of the ocean. It looks right. As in those parts are "compatible". Since they're both the "new" style seals. But truthfully, I probably shouldn't have used the word "compatible" at all. When what I meant is they won't work well together. 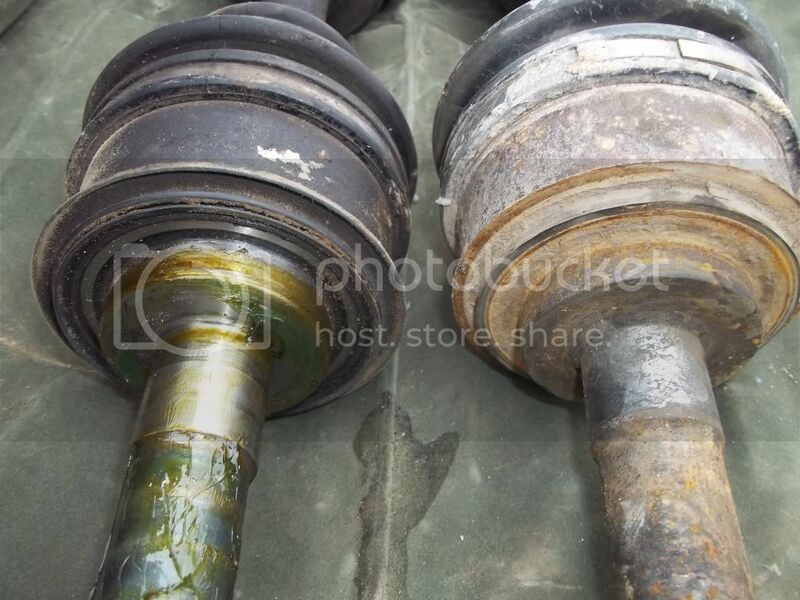 The differences between the 2 cv seals shouldn't cause any fitment issues with either of the spindle seals(should be able to use either one with both the "old" and "new" spindle seals). 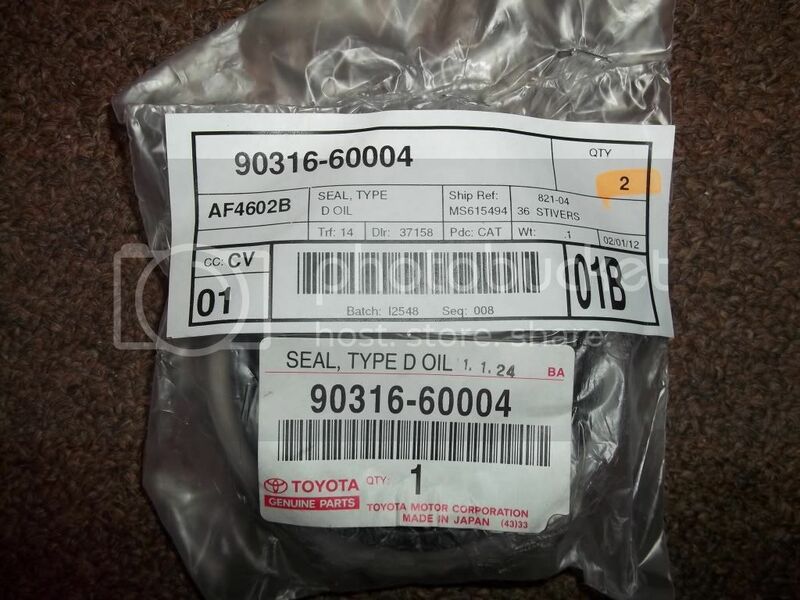 However, the "old" cv "seal" is really more of a "dust cover", as Toyota calls it. Since it doesn't have the rubber sealing surfaces like the "new" cv seal does. Without which, it can't really "seal" anything(hence the term "dust cover"). They're pretty much the same thing. The "new" one just has the wrap-around flange dust cover part and some rubber lip seals bonded to it. See what I'm saying? Ok, so we've established that they should work. So why can't you get the snap-ring on? Since you installed the "new" spindle seal in the "old" spindle(an 87 correct?) there's the slight fitment issue ocurring that's been discussed previously in this thread. So what does that mean exactly? Well, unfortunately, it means you need to remove that spindle seal and modify it in the manner I did. 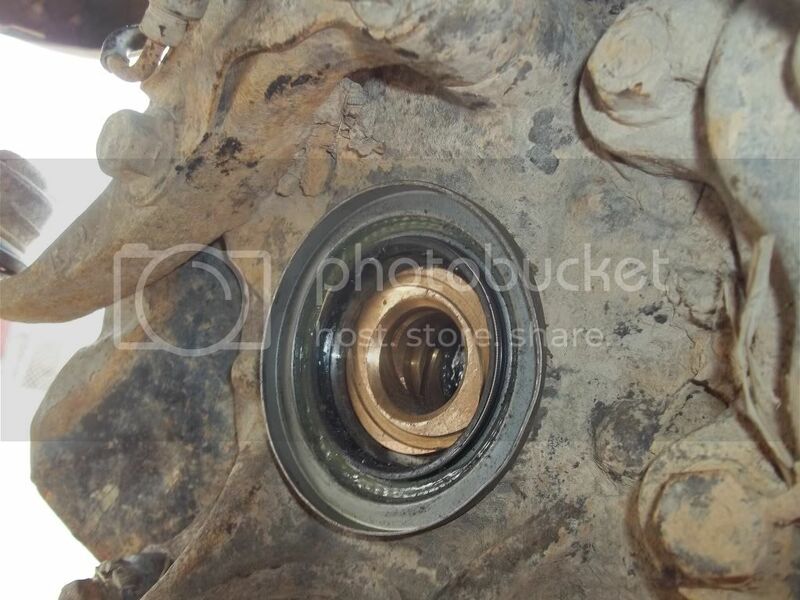 Or just forgo the snap-ring altogether like RustBucket did. Or think of something else. Last edited by MudHippy; 02-08-2012 at 11:07 AM. Glad to see ya'll have still been working on this. I have been out of the wheeling world for a year or so but I'm kind of getting back into it now. I've done a good bit of wheeling since I failed to get the snap ring back in. Everything is still fine Maybe I'll take the other one out now. It's cool that we have a repository for spindle bushing data in this thread. Can we move it to a sticky or FAQ? Thread has been stickied. Lots of good info here. seeing as i sit in front of an EPC all day long ANY other questions or problems that need to be solved?? hey I'm trying to find the annoying buzzing sound starts when you open the door, leaving lights on. Etc. when you take the little sender thing out of the dork with I think a 10 mm socket wrench I broke of the end part that connects it to the white plastic part from the wire. I need a part # for it or should I just check for it at a junkyard? I am so glad I stumbled across this. I just bought a 92 4Runner and am going through the same issues but the local Toyota parts guys are not very helpful. Thanks again guys! Great thread, should help save me a ton of time chasing PN's when I get to this. Fit perfect on my '90 SR5.